Cost effective, off-the-shelf noise barriers reduce and contain excessive noise. 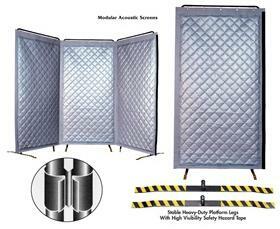 Can be used individually or joined together to form a noise-reducing enclosure. 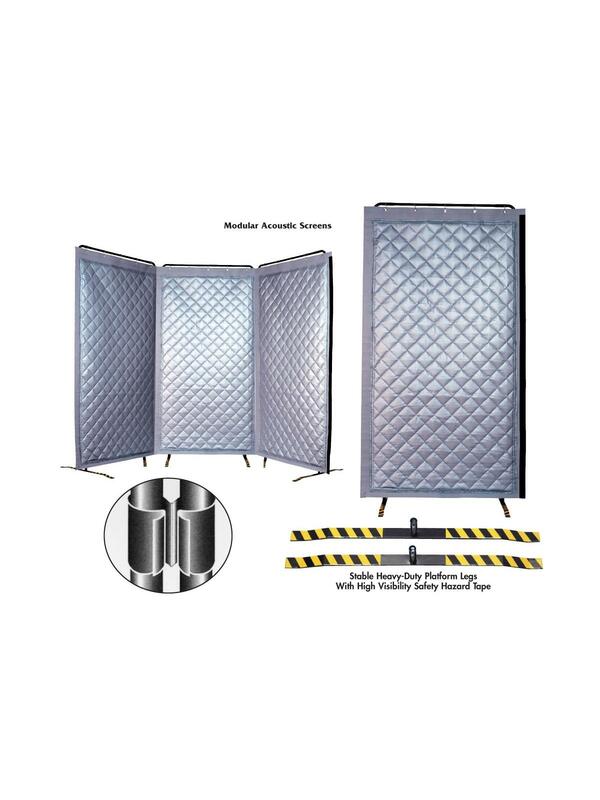 Features a sturdy tubular steel frame complete with platform legs and a sound barrier curtain that combines a mass loaded vinyl barrier material with a gray fiberglass noise absorber. Each screen forms a continuous noise barrier with adjacent screens by means of a 2"W hook and loop fasteners on each curtain edge. Easy-to-assemble slip-joint frames have a Black epoxy finish. Sturdy adjustable platform legs for stability. Exceeds ASTM-E-84 Flame and Smoke "Class A" Fire Ratings. Has STC rating of 25db. NRC = .70. Shipped K.D.